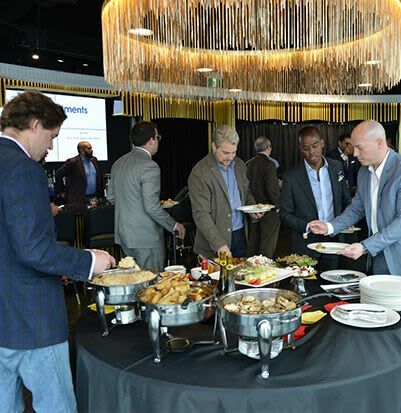 DISCOVER THE POSSIBILITIES OF TORONTO'S NEWEST PRIVATE EVENT SPACE. Discreet. Elegant. Unique. 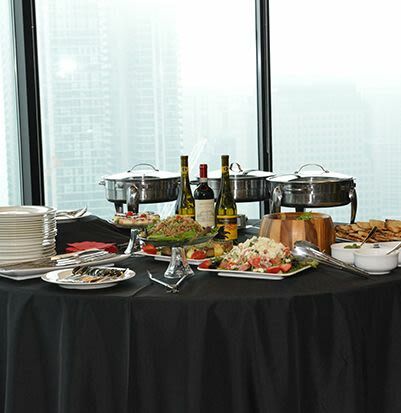 Explore our 'corner office' lounge on the 25th Floor of Brookfield Place as the setting for your next corporate event. The quest for a unique experience that every guest will remember is the goal for client appreciation and corporate events. We had just these occasions in mind when we first dreamed of the kind of 'corner office' we wanted to call our new home. We envisioned a private space with a discerning vibe that would serve as an oasis from the hustle and bustle of the working day. A space to relax with friends, entertain clients and offer reward and recognition for corporate jobs well done. We think we've succeeded in this quest. With every detail customized to your corporate or personal brand. 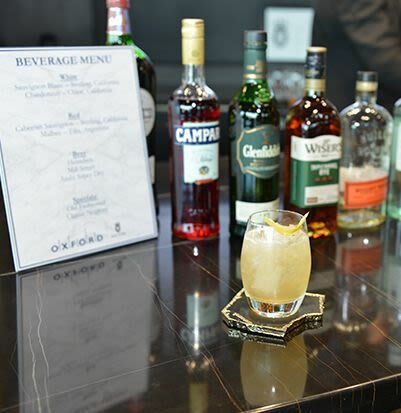 Every private event in the beautiful King & Bay lounge includes a selection of curated cocktails, hors d’oeuvres and a personal gift for each guest. A gift certificate or 100% silk scarf. Our Concierge Team knows how to take care of the details. 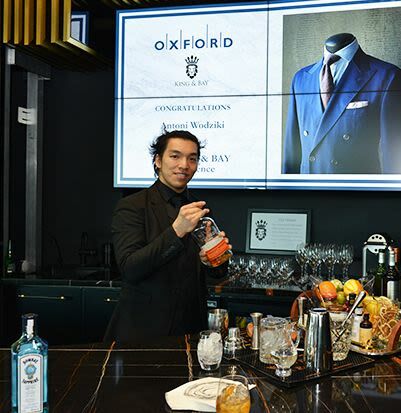 From the private event invitation, to the welcome as guests enter through our magnificent reception area, to the way we integrate your brand – we've got you covered. Attending to the details is at the heart of everything we do at King & Bay. 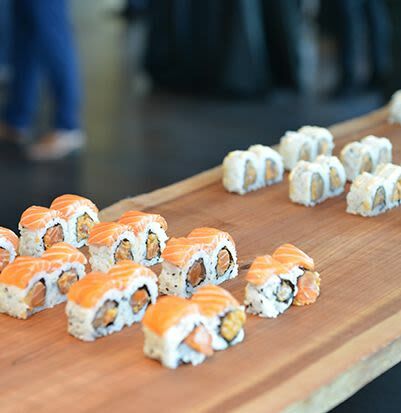 And when we host your event, our attention will be fully on the details that will make your event spectacular. We'll guarantee you'll make the impact you want. 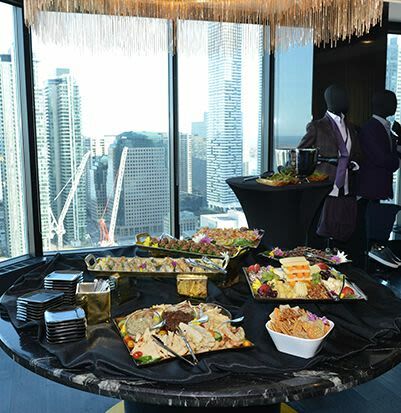 Whether you're staging a corporate function or celebrating a private milestone, our Concierge Team will collaborate with you to ensure that everything is perfect.